Rob Norton caught the bug in his parents’ basement, wailing on the drums he’d taught himself how to play while listening to entire sides of vinyl records on his dad’s old record player. Years later, Rob was in a very un-rock n’ roll job, working as a marketer in the pharmaceutical industry. He’d reached the point in his career where he could afford to take a risk—the idea of opening his own record store swirling around for a decade. 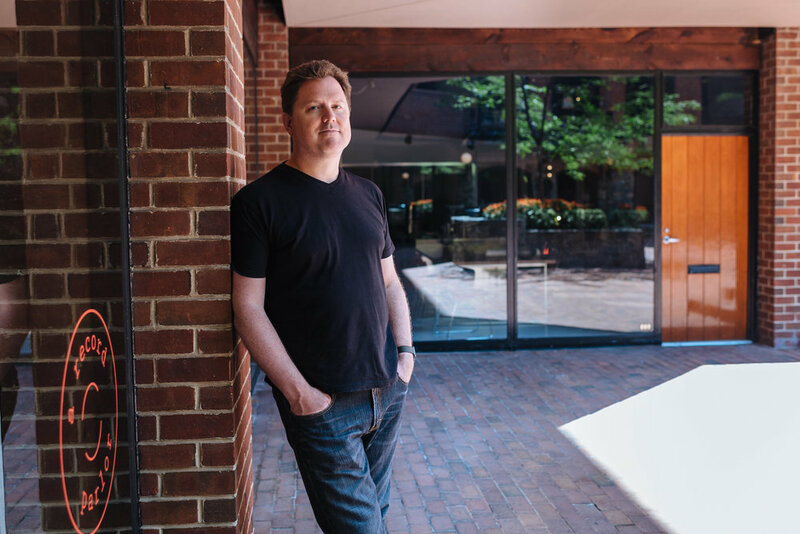 He looked for a space—mostly in Adams Morgan and the 14th Street corridor—but never found the right combination of place and price. When a space suddenly became available in Georgetown’s Canal Square, Hill & Dale was born. Hill & Dale has a clean, white aesthetic, each row of records—new, only—in alphabetical order, never cramped. Rob says his best-selling record is Miles Davis’ Kind of Blue, unusual for record stores, whose customers generally favor rock. The wide-ranging selection reflects Rob’s tastes, and the only records Hill & Dale doesn’t carry are classical. The customers are just as diverse as the records, from high schoolers to guys in their mid-40s. But when customers do want to talk music, they really want to talk. A classic rock guy by nature, Rob says he’s also learned a lot about jazz since he opened Hill & Dale. Still, he’s constantly being taught by customers who know more than him. Rob’s personal record collection tops out at over 500. He owns nearly 5,000 CDs, which he started collecting in high school, before vinyl came calling yet again. 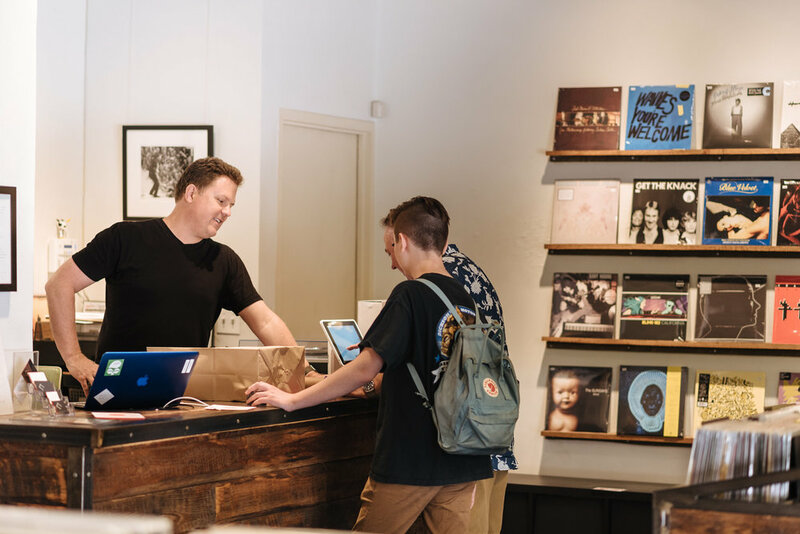 Asking a record store owner to pick his most prized vinyl is like asking a mother to pick her favorite child, but Rob’s criteria is different from most collectors. Rob gets hundreds of customers a day on most weekends—Steven Tyler once peering through the windows. It’s been a learning lesson for someone who’d never before owned his own business. Why they like them varies. For some, it’s tactile—the ability to touch the music. Others love the warmer sound quality. When music is digitized, Rob says it’s turned into 1s and 0s, and a lot of information is lost. Records have made a comeback, but some of Rob’s peers insist music just isn’t what it used to be. He isn’t having any of that. ‘I completely reject the notion that music today isn’t any good. You hear people my age say, ‘We had classic rock, we had Jimi Hendrix.’ I just think it’s different. The way it’s presented is different and it’s a harder business to be in. Artists can’t get rich quick. Rob feels similarly about Lana Del Ray, Sia, Mac DeMarco, and Drive-By Truckers—artists who prove music is alive and well. So, too, is Rob’s dream.